Ricciarelli, Tuscan Almond Cookies - Recipe! - Live. Love. Laugh. Food. Ricciarelli are a macaroon type of Italian cookie created in Siena in the 14th century. What makes these cookies so magnificent is that they are chewy on the inside with a light crust on the exterior. Most often Ricciarelli cookies are crescent shaped, but sometimes you find them in a flattened circular shape. In the countryside of Italy, almonds and lemons are abundant in both central and southern regions. Many traditional desserts are made from ground almonds; including cakes, cookies and even candy. Fresh lemons produce specialty drinks like Limoncello, while candied and zest of lemon are folded into breads like Pannetone, pastry and a multitude of rustic desserts. 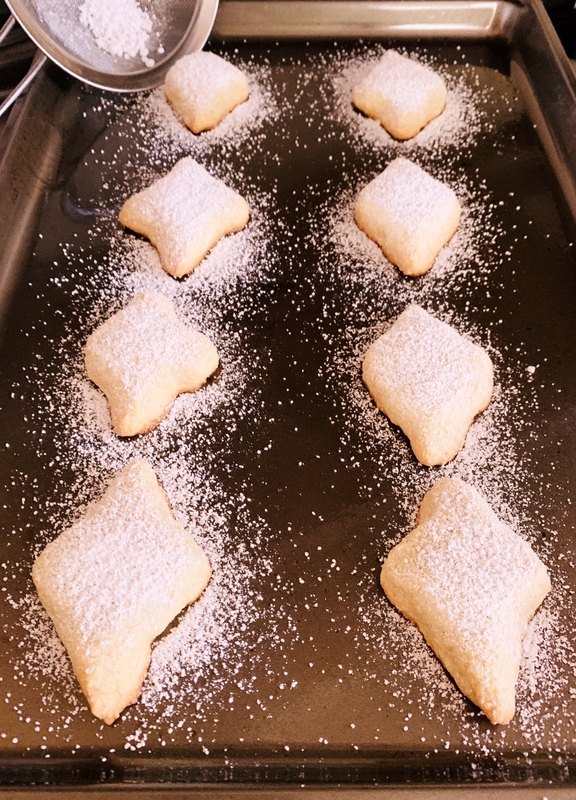 Ground almonds are the base of Ricciarelli cookies with a hint of citrus added from lemon zest. 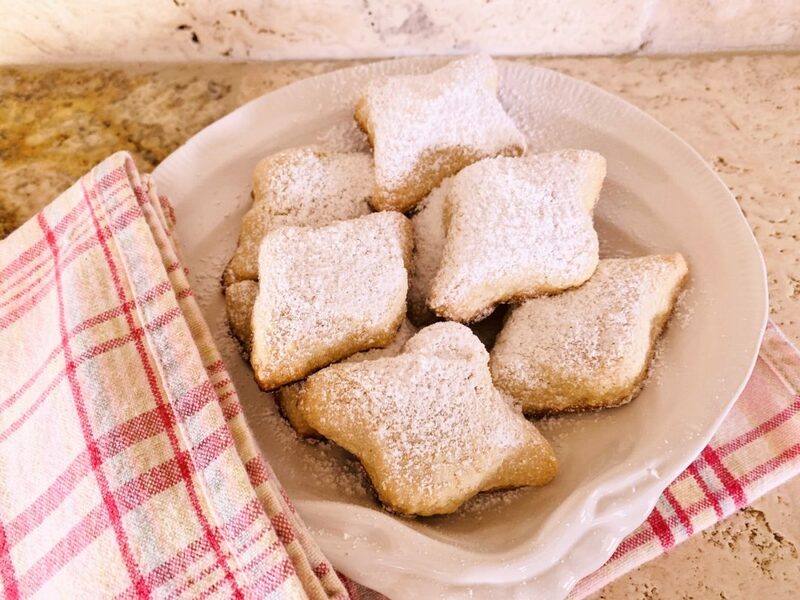 Powdered sugar, an egg white, a pinch of salt and some vanilla extract are all the ingredients that comprise Ricciarelli – simplicity makes them best. After baking, a light dusting of powdered sugar tops the diamond-shaped treats, reminiscent of a milky crescent moon on a dark summer night. 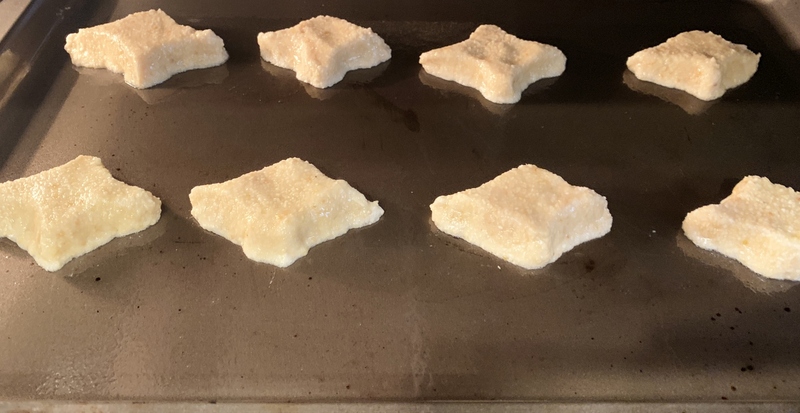 Ricciarelli are perfect for dipping into your favorite cappuccino or hot cup of tea, and I personally love to serve them after dinner with friends. Preheat oven to 350 degrees. On sheet pan, place almonds and toast for 8 minutes, remove and cool. Place almonds in a food processor with half of powdered sugar, pulse until fine, about 30 seconds. Add zest of lemon, pulse to combine. 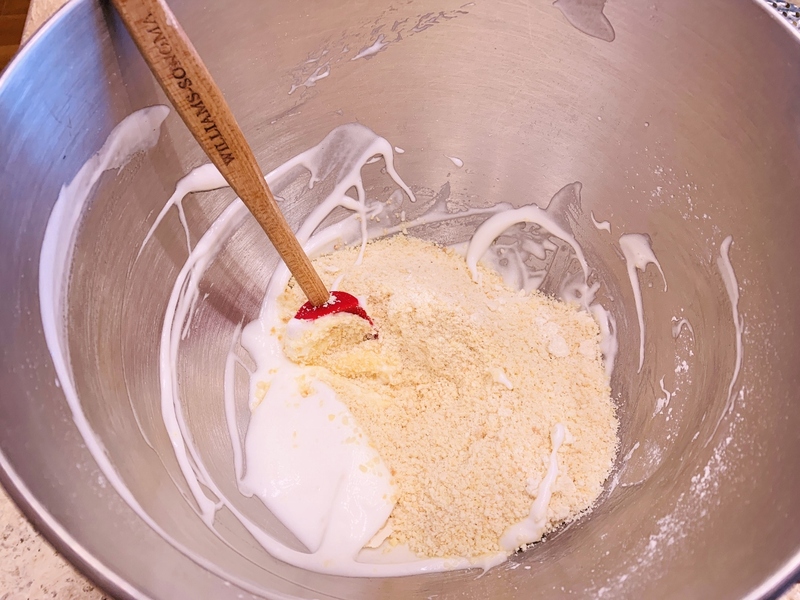 In a large bowl, whisk egg white until frothy and add remaining powder sugar. 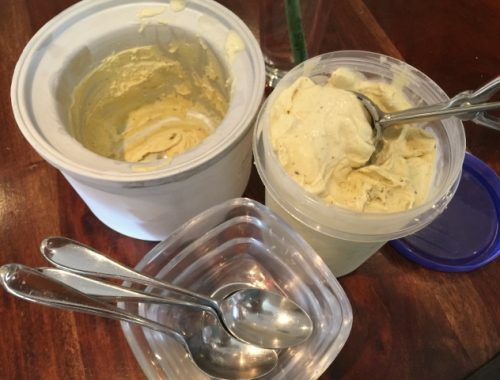 Whisk until medium peaks and add salt and vanilla. Whisk until combined. Fold egg whites with ground almond mixture until combined. Spoon by the tablespoonful onto a greased sheet pan and shape into diamonds with flattened tops. Place sheet pan in refrigerator for 30 minutes. Bake in the oven for 10-12 minutes, then let cool on baking sheet for 5 minutes before removing. Dust with powdered sugar, Enjoy! 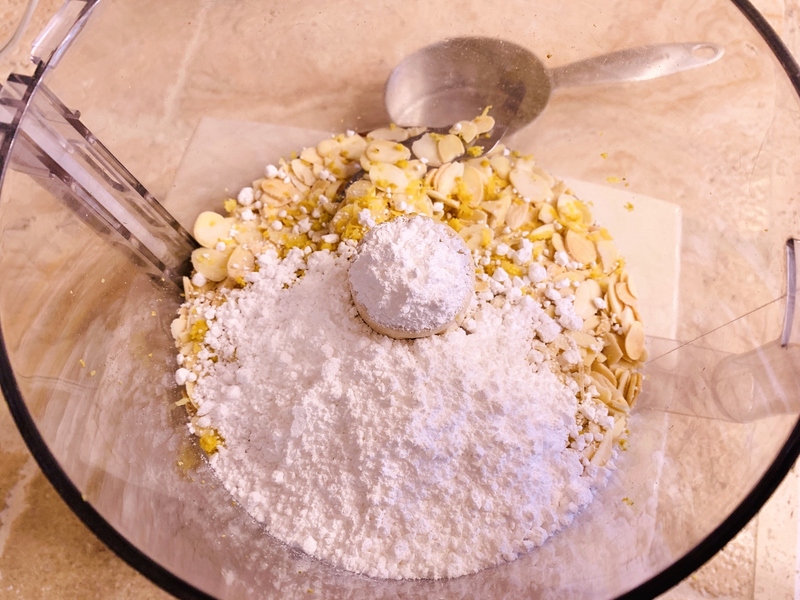 Baking with Gena Bellcookie recipesgenabellrecipesRicciarelliRicciarelli RecipeTuscan Almond CookiesTuscan Almond Cookies - Recipe! 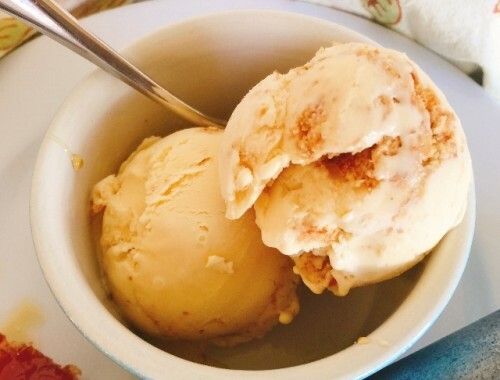 Honey Cheesecake Ice Cream – Recipe!